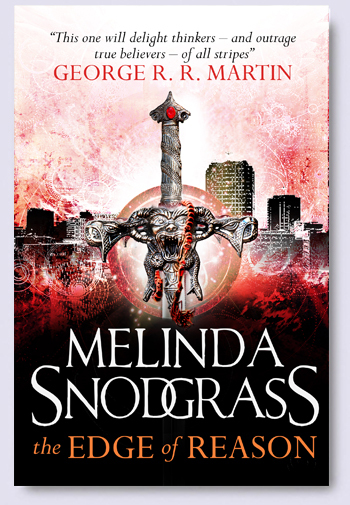 Melinda Snodgrass's THE EDGE OF REASON out now in the UK! | Zeno Agency Ltd.
Melinda Snodgrass’s THE EDGE OF REASON out now in the UK! THE EDGE OF RUIN, the sequel, is due to be published in April 2015. Zeno represents Melinda Snodgrass in the UK and Commonwealth, on behalf of Kay McCauley of Aurous, Inc.
previous: THE RELIC GUILD by Edward Cox is Out Today! next: Edward Cox’s THE RELIC GUILD Launch a Huge Success!